Any business who supports charity deserves a shout out and Pure Pens has stepped up to the plate with their Castell Coch ink. And 10% of proceeds will go to Breast Cancer Care. 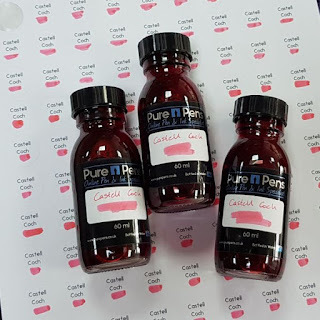 This, coupled with Diamine's Hope Pink means that I've got two ink companies that are supporting cancer charities - are there any more?